What do Purim and Golan Heights have in common? MOSSAD SPIES! What?! 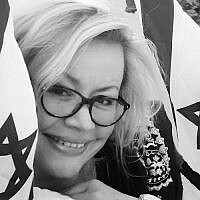 Tanya Hajek is a writer, Real Estate Investor, Evangelical Zionist, Jewish-Christian Communities bridge builder. She organized and hosted the most extravagant celebration of Israel’s 70th in Canada (City/Government officials, Israeli Consul General & Economic Attaché present) with glorious 7-min fireworks for Israel’s 7 decades above Niagara Falls and illuminated the Falls in honour of Israel’s national flag for the 1st time in history. Born only 30 miles from historic Pranjani Airport where brave Serbian villagers rescued over 500 US Airmen during WWII; continuously living on borders (Serbian-Croatian; Slovak-Austrian and US-CAN), holding triple citizenship & speaking 4 languages, being a natural bridge-builder is who she is. As a grandchild of a Holocaust survivor, passion to see the nations of the world coming to the realization of the importance of favouring Zion is in her DNA. Tanya Hajek answers the call of raising up 21st Century Esther’s Army.